Bring the best food in Virginia to your office, or Place of Business: Whether your office is located in one of Virginia’s Major Cities or one of our Rural County’s, Farm to Fork Can handle it all. 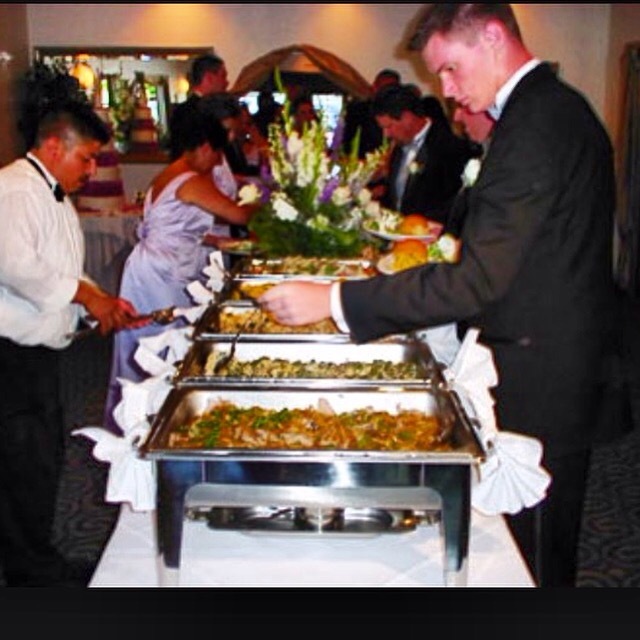 From last minute meetings, large office celebrations, or even the weekly catered lunch. Farm to Fork offers catering delivery throughout Virginia for all occasions with healthy local options to meet any craving. Conveniently Located at Exit 8 off of I95 In Emporia, Virginia. Farm to Fork delivers up to 65 mile radius of their location. VCU Life Evac & Farm to Fork Serves Lunch to Local EMS for National EMS Week. VCU LifeEvac Recognized Emporia/ Greensville EMS Team at Southern Virginia Regional Medical Center. To show some appreciation for the work they do every day in the community, a Hot Taco Bar was Catered By Farm to Fork, a Local Restaurant in Emporia that offer Fresh Local Fare. VCU Life Evac based air medical transport program That has two helicopters and a ground mobile ICU Unit that serves communities across Virginia. We are looking for an ambitious Cook to assist in the preparation of from scratch dishes in our kitchen. You’ll perform routine kitchen tasks such as setting up workstations and ingredients, so that food can be prepared according to recipes. A great chef will be quick and diligent and willing to go the extra mile. You will need to be very knowledgeable about a kitchen and able to follow instructions as well as all health and safety rules of the kitchen. The ideal candidate will also be able to function in a fast-paced, busy environment as a part of a team. • Prepare cooking ingredients by washing and chopping vegetables, cutting meat etc. • Undertake basic cooking duties such as reducing sauces, parboiling food etc. • Prepare simple dishes such as salads, entrees etc. • Maintain a clean and orderly kitchen by washing dishes, sanitizing surfaces, taking out trash etc.